Home » Slots » Medium Variance Slots – Should you Play Them? The last two blog posts have described how variance determines how often and how much a video slot will payout. In this post, we’ll look at the most popular type of slot – medium variance. Of all the many thousands of slots available, medium variance are the most numerous. This is due to player expectations, and commonly more players tend to be drawn to the medium variance slot over low or high variance slots. There are a few things that are different in these games that will impact your gaming experience. As mentioned, these fall in the middle, meaning they pay out a fair amount at regular intervals. While this might seem like a great gaming opportunity, you need to keep in mind that higher bet values are usually included due to an increased amount of pay-lines. However, for those of you looking to activate more winnings with lower payouts or those of you wanting to increase your reward values but activate fewer combinations, a medium variance slot is one of the best games to choose. Players will find these games offer an impressive range of bonus features as well. This will, of course, depend on the developer and game, but most will include a gamut of wild symbols, scatters, free spins and some type of bonus game that regularly triggers. There is only one real way to test the variance of a slot – first, review the paytable; second, play it. Each game has a detailed explanation of what it offers, this is identified as the paytable. A mid variance slot will see the amounts awarded for three, four and five symbol combinations differ a fair amount. When playing, if you find the range of wins are fair and not just smaller amounts, that’s another indicator that you’re playing a mid-variance game. Should I Play Medium Variance Slots? Definitely! These games are great for all player types as they offer a fair percentage of winnings, features, and entertainment value. If you are a player who solely chooses high variance in hopes of winning big, these games might not interest you. However, even for those with a high variance preference, the mid variance slot can be appealing as it allows for a broad range of betting limits. Popular medium variance slots include Starburst, Victorious, and many others from NetEnt, Microgaming, and other developers. A great place to try out these games is Guts casino as they have a vast collection of developers to choose from. The casino includes gaming content from Playtech, NetEnt, Microgaming, Betsoft, Play’n Go, and many others, all of which offer all types of variance in their games. Another casino well worth considering is bgo, especially if you’re looking to play Starburst. 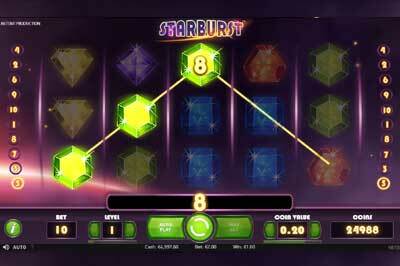 As a new player, you’ll receive 20 free spins on Starburst. If you decide to sign up and make a deposit, you’ll get another 180 free spins! These free spins are granted in stages of 20 per day, giving you a much longer gaming opportunity i.e. ten days on 20 free spins per day. Wagering is also much lower, and withdrawal limits do not apply.